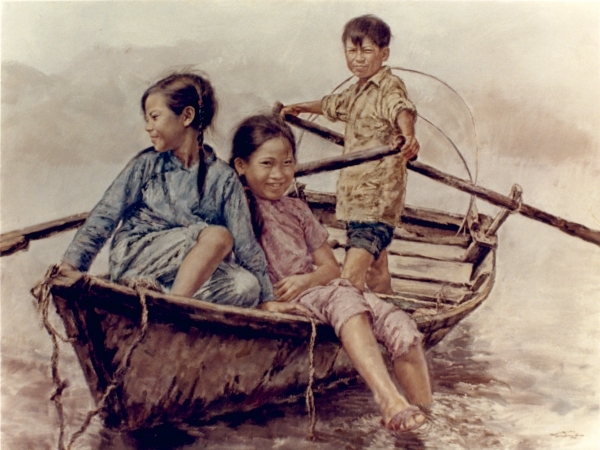 Description: The children of the fisher folk, though young, all know how to use a boat. It is as natural to them as breathing. In this painting, the artists depicts one of the more fun aspects of their life. As you can see from the expressions of serenity and joy on their faces, these children know, as most of us adults have unfortunately forgotten, it's the simple things in life that make it worth living.